Strictly Come Dancing 2016: Who were the seventh couple to leave? Laura Whitmore and Giovanni Pernice have left Strictly Come Dancing. The TV Presenter and professional dance partner faced Ore Oduba and Joanne Clifton the dance-off on Sunday night (November 6), with the judges unanimously choosing to save the latter couple. Despite an energetic Samba to Gipsy King’s “Bamboleo” and comments from the judges praising the last ditch performance, Laura and Giovanni became the seventh couple to leave the ballroom and Latin dancing competition. Darcey Bussell added that “both couples danced exceptionally well tonight and it makes it very difficult” before choosing to save Ore and Joanna for a “finished performance”. Following her departure, Whitmore said Strictly had been “a great opportunity” and that she had “really enjoyed my time with Giovanni and learning so much”. 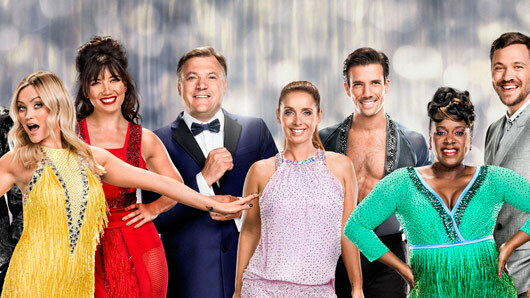 Strictly Come Dancing continues next Saturday (November 12) at 6.55pm on BBC One.